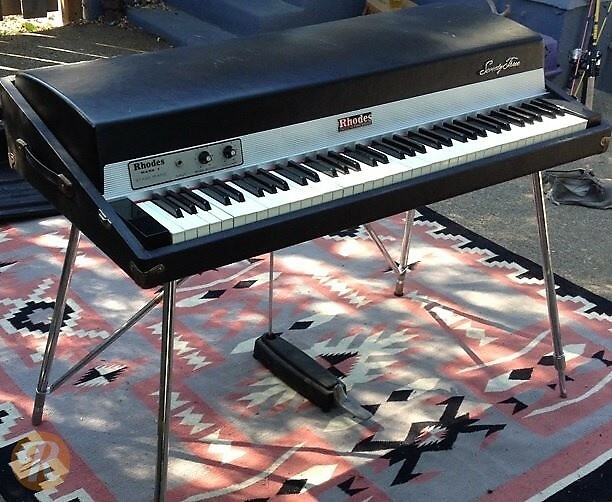 The Fender Rhodes Mark I Stage 73 is a 73-key electric piano first manufactured in 1970 as a lighter version of the "suitcase" model. 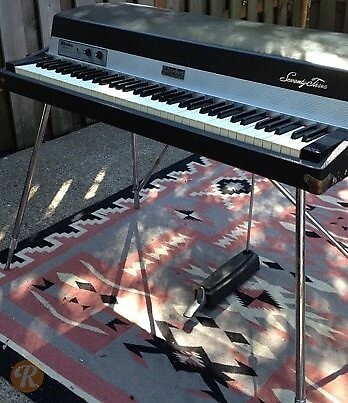 It featured a sustain pedal and a single mono output jack. Note: This price guide entry does not include a piano sold with the speaker cabinet.